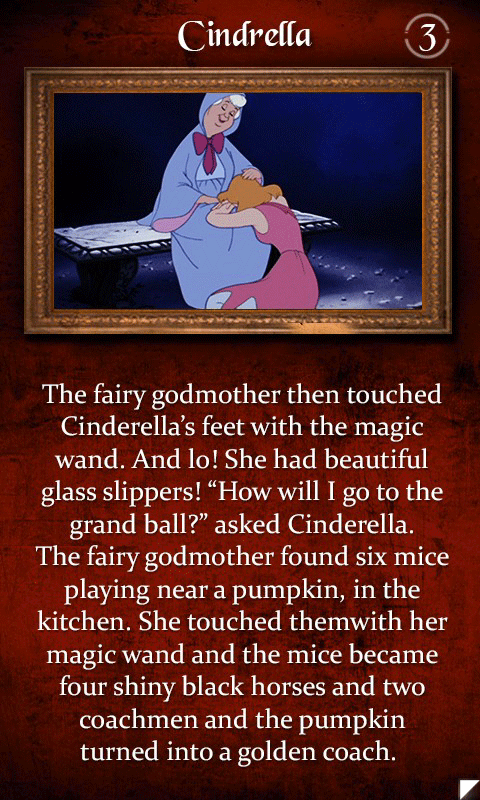 Fairy Tales Story - Vol 1: Remember granny's telling the frictional stories to get kids to sleep at night. In the hustle bustle today's life we have left these stories behind. 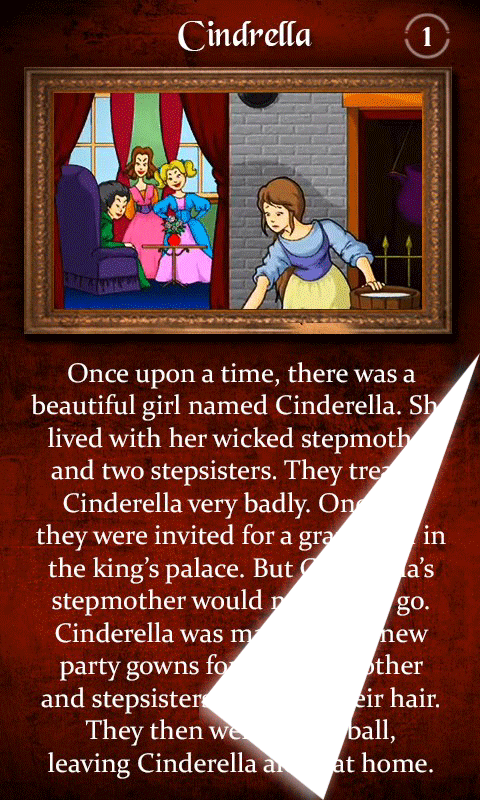 The fairy tales story app brings all those fairy stories to you right on to your android handsets. 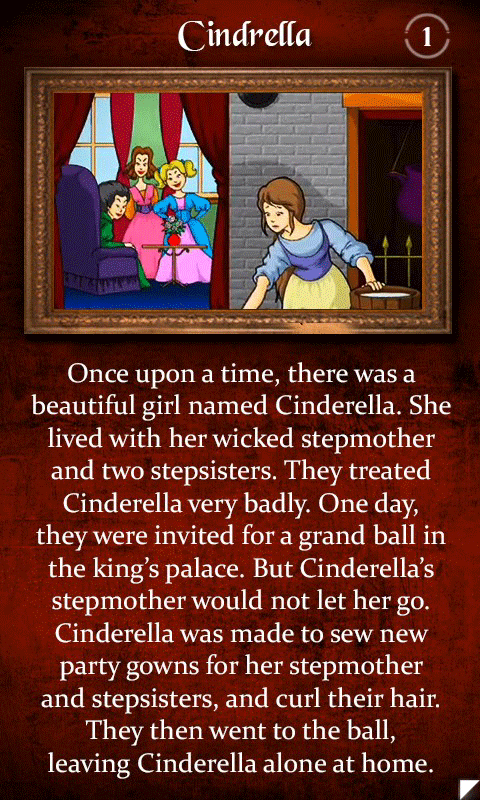 This app has the best collection of English fairy tale stories. 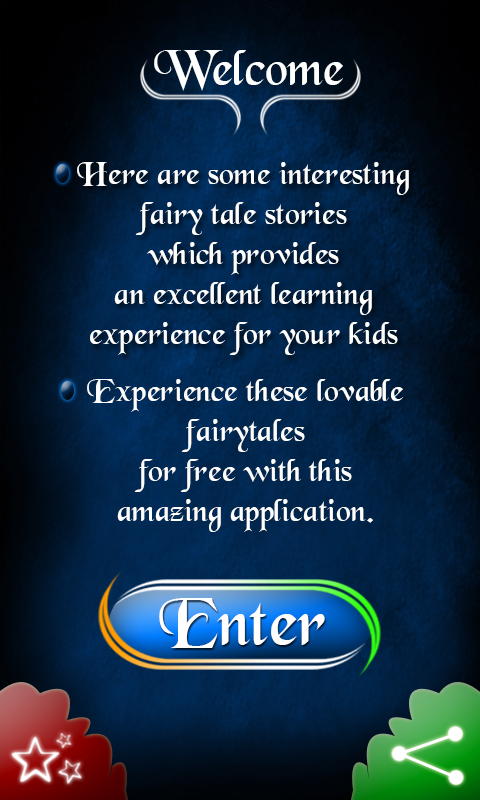 Your kids are going to love this app, as the story collection is huge and never ending. Good morals to be taken out of the stories too. 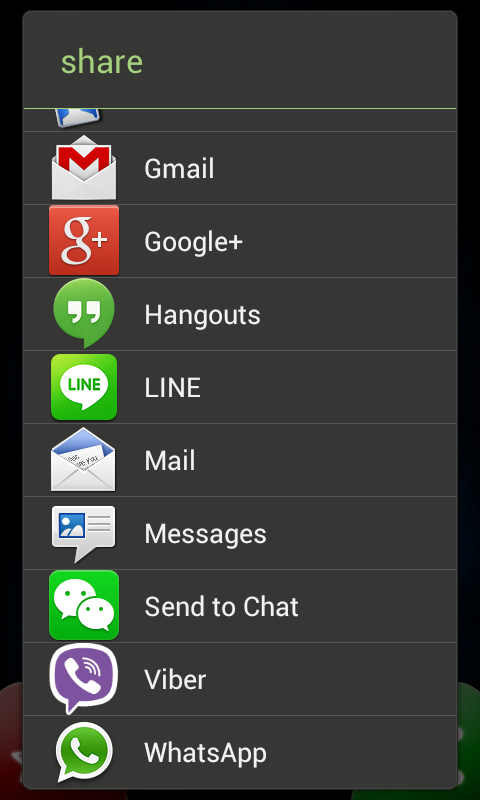 Share the fairy tale stories on whatsapp and wechat with your friends and family and give a fairy time to your near and dear ones.